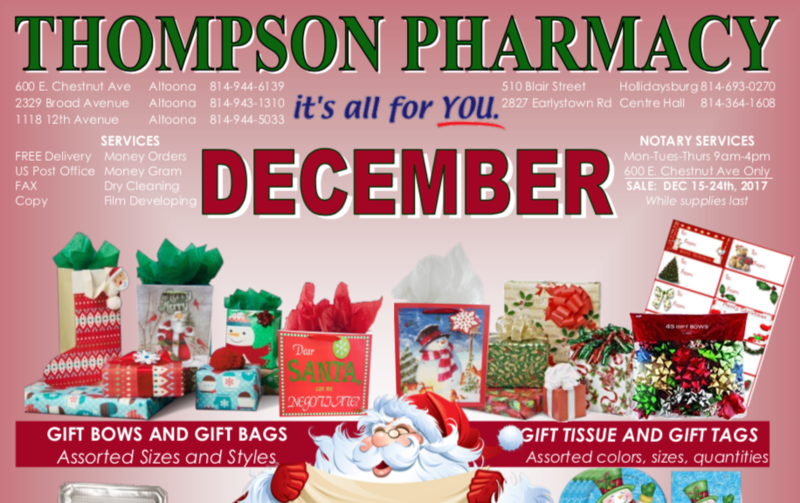 Thompson Pharmacy December 2017 Flyer! Click here to download our December 2017 Flyer! 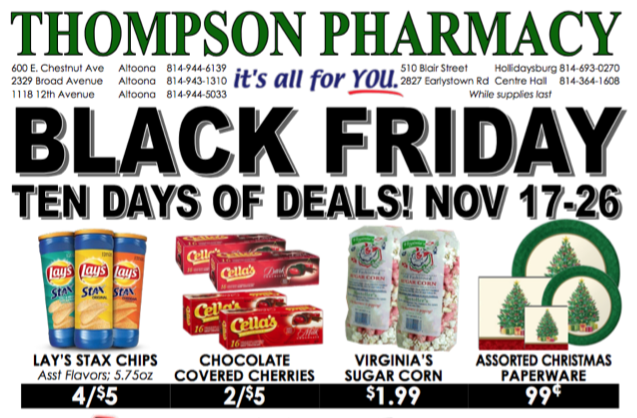 Thompson Pharmacy Black Friday 2017 Flyer! Click here to download Thompson Pharmacy’s 2017 Black Friday flyer!